What to do with the casino? 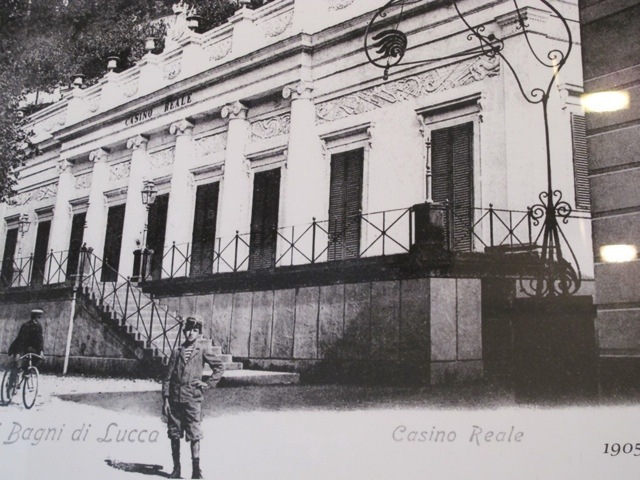 Bagni di Lucca has the first purpose built casino in Europe. It was built in 1837 and operated as a casino until 1945. It was restored about 14 years ago and is stunning inside. The work was being done when I first arrived in Ponte a Serraglio and I enjoyed watching the workmen bring the beautiful interior back to life. It was open for some time as the information centre for Bagni di Lucca. The wonderful Leda worked there and took visitors on guided tours throughout the building, telling tales of times gone by when Puccini and Liszt played for guests. Now it is open only for events, which seems a pity. 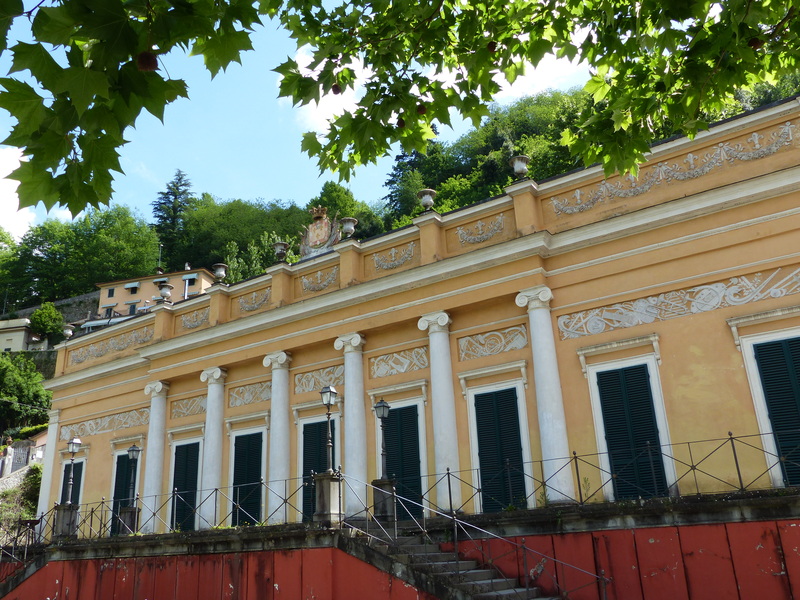 Many visitors coming to Bagni di Lucca would like to see inside and ask constantly why it is not open to the public. There is a thought by many residents that it would be a good idea to reopen it as a visitor and information centre. That way it would be open to the public and be a place of interest. I have been asked by some to see if this would be popular. This entry was posted in Things to see and do and tagged Bagni di Lucca, Casino Bagni di Lucca, Ponte a Serraglio by Debra Kolkka. Bookmark the permalink. Prime example of politics making decisions. 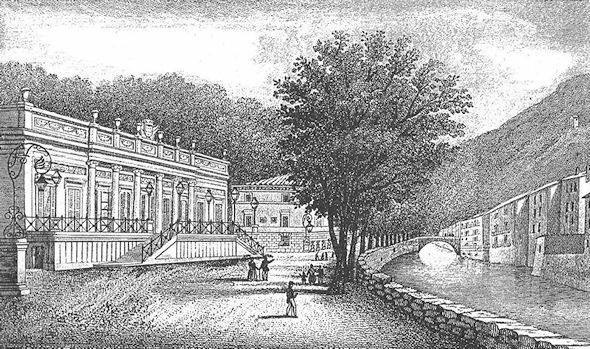 Leda was an invaluable asset to the area’s visitors and the casino’ was a great starting point. Of course it should be reopened and put to use as an introduction to the area, a central point of reference to events going on in the area, etc. I hope people will go to the Comune and say they want this. The casino was not great, it was really only slot machines and it didn’t last long. Certainly, it worked well years ago. A shame that tourists don’t get to see this beautiful building from the inside. It was an excellent information centre, a good use of the building. It would be a fabulous venue for catered events, weddings and parties, and a local special events center. Right now it just stands there shuttered closed and abandoned. If you didn’t see the inside years ago, you might not even know what it looks like or understand the important history that it has. OPEN IT UP SOMEHOW. Let it become important. Let it be grand again. It is open for events regularly as I said in the post. It isn’t shuttered and abandoned, but several residents asked if I would write and ask if people thought the information centre should be returned there. Historic property and current assistance with seeing the beautiful area. I agree that it would be a perfect building to house the visitor centre. 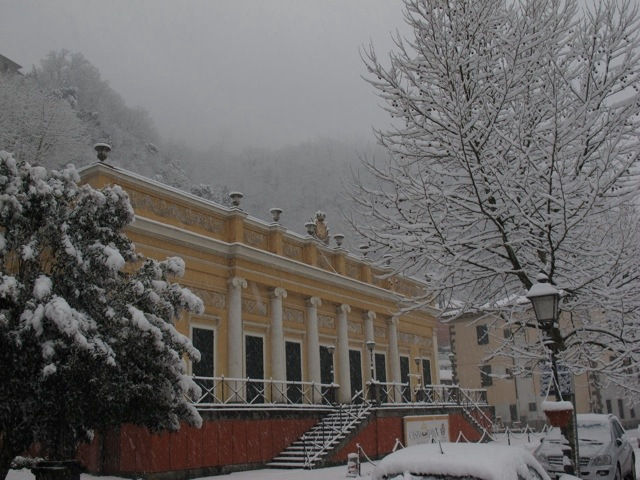 Everyone enquires about the beautiful building – it was only open the one time during our 6 month in Ponte a Serraglio and unfortunately we didn’t realise and missed out on seeing the inside. Maybe next time! Many of the events there are private. Having the doors open in a regular basis would be good. A great pity if it was left to deteriorate again after such effort was put into the restoration, would make a great visitor centre and event/meeting centre. The interior is still looking good, but there is some need of maintenance on the outside.